In a new study published in Nature on 29 March 2012, researchers have profiled genetic changes in cancer with drug sensitivity in order to develop a personalised approach to cancer treatments. The team uncovered hundreds of associations between mutations in cancer genes and sensitivity to anticancer drugs. Their study establishes the utility of using large-scale studies to identify these associations and build them into improved patient treatment. Dr Mathew Garnett from the Wellcome Trust Sanger Institute is a first author of paper published by researchers who studied on how genetic changes in a panel of more than 600 cancer cell lines effects responses to 130 anticancer drugs. The team identified biological markers of drug sensitivity to a broad range of cancer drugs. Most of the cancer genes analysed, including those that are not known direct targets of the drugs tested, were associated with either sensitivity or resistance to at least one of the drugs analysed. The research finds completely novel associations, many of which are still don't fully understand. One of the key responses the team found was that cells from Ewing's sarcoma, respond to a PARP inhibitor. The lowered toxicity of this treatment may mean it is a safer alternative therapy for children and young adults with this aggressive cancer. 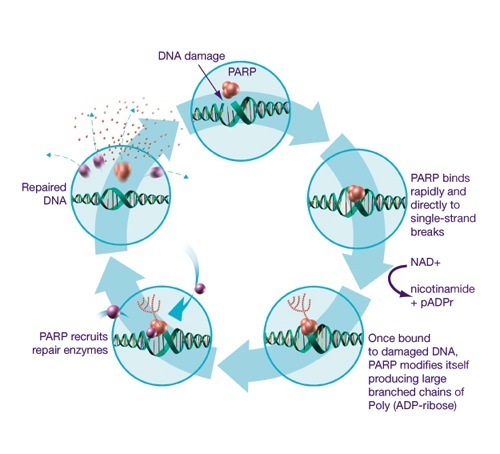 A novel potential indication for the use of PARP inhibitors will now be tested in clinical trials to assess their therapeutic benefit in the treatment of Ewing's sarcoma. According to Dr Ultan McDermott, senior author from the Wellcome Trust Sanger Institute, advances in next-generation sequencing technologies are already being translated into the large-scale detection of cancer gene mutations in the clinic. The research team has developed a unique online open-access resource for the research and medical community that can be used to optimize the clinical application of cancer drugs as well as the design of clinical trials of investigational compounds being developed as treatments. The team hopes that their open-access database will be an important resource for the cancer research community and which will ultimately lead to improved treatments for patients. This research program is a unique Wellcome Trust funded 5-year collaboration between The Cancer Genome Project at the Wellcome Trust Sanger Institute and the Center for Molecular Therapeutics, Massachusetts General Hospital Cancer Center. The next steps for this collaborative project are to evaluate some of the key findings using tumor samples and test new candidate therapeutic strategies in clinical trials. This work was supported by a grant from the Wellcome Trust and by grants from the National Institutes of Health (USA). The study researchers were supported by a Physician-Scientist Early Career Award from the Howard Hughes Medical Institute, and by a Cancer Research UK Clinician Scientist Fellowship.